If you’re currently in the process of divorcing your spouse, you may be interested in how your mutual assets will be split up. To discover how property is awarded in a divorce, in San Antonio Texas, simply continue reading to find out everything you need to know about divvying up property in the event of a divorce. If you or your spouse purchased a property prior to your wedding day, you are entitled by law to 100% ownership of your property. As marital assets which are to be split between yourself and your former partner must be accumulated during your marriage. As the state of Texas classes property as separate property which is acquired before marriage and marital property, which is accumulated during a marriage. However, if at any point your marriage, you chose to refinance your mortgage and added your former partner’s name to your property’s deed or mortgage, they may legally be entitled to a share of your property. While you’re likely to be awarded any property you purchased prior to your wedding day, in the case of a divorce, you may still have to pay your former partner a share of your property’s equity. 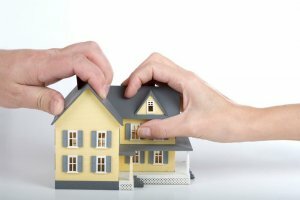 As an example, even if you purchased a property a decade before you tied the knot to your current spouse, if your house has risen in value during the course of your marriage, you may be forced to pay your former partner a lump sum as any equity which accumulated during your marriage will be seen as a marital asset. Texas law states that any assets which are accumulated during the course of a marriage are to be split between both individuals. Why would your former partner be entitled to a share of your house’s equity? If you made mortgage payments on your property with marital money, your former partner will be entitled to a share of your property’s equity as your former spouse effectively helped finance your property. If your former partner also used their skills or assets to complete home renovation projects, they’ll also be entitled to a share of your house’s equity. If you have invested significant time, energy and money in a property which your former spouse purchased before your marriage, it’s well worth accumulating any proof you may have, that you invested your time, energy and money into raising the said property’s value. As a court of law, will look favorably on your case if you can produce receipts and bills, which prove that you invested value time and money, upgrading your ex spouse’s property. However, if you paid cash for your house or paid off your mortgage before you signed your marriage license, you may be entitled to 100% of your property and its associated equity. If you purchased property with your former spouse, you will both be entitled to receive a share of your property. In most cases, former spouses choose to split ownership of any property accumulated during their marriage 50/50. However, if you have reason to believe that you should be awarded more than half of a marital property, it’s well worth hiring an experienced lawyer as the state of Texas does take your personal circumstances into account. As an example, if you are awarded custody of any children which resulted from your marriage and will be responsible for housing said children, you may be entitled to more than 50% of any marital property. Some courts may even take your earning potential and income into account when dividing up your marital property. If both you and your former partner are legally entitled to a share of your marital property, the simplest way to divvy up your property is to sell your home and to split the proceeds. As if your relationship ended on unpleasant terms, it may be difficult to co-own a property with your ex-spouse. You may be keen to split the proceeds of your marital property as quickly as possible, in order to start your new life and purchase a new property. If so, one of the fastest ways to receive a competitive offer for your property is to sell your property for a lump sum, cash payment. As properties which are placed on the market, often take several months to attract an acceptable offer and properties which are auctioned off, may fail to attract a reasonable sum. If you’re interested to sell your San Antonio home fast, it’s well worth talking to our experienced team of real estate professionals who’ll be able to make a competitive offer on your property. As our team specializes in acquiring properties in San Antonio, Texas. Better yet, our team is interested in purchasing properties in all states, so if you don’t have time to complete home renovations and are simply looking to sell your property as quickly and as painlessly as possible, you may have found the ideal solution for your situation. Alternatively, if you’d prefer to maintain ownership of your marital property, you may want to consider buying your ex-partner out of their share of your property. This is a particularly feasible option if you have cash assets which you can use to buy your ex-spouse out of their share of your marital property. This may be a wise solution if you plan on raising your children in their childhood home. Alternatively, if your marriage ended on amicable terms, you may be able to pay your former spouse out of their share of your marital property, in installments. In summary, in the state of Texas the individual who will be awarded property in the event of a divorce, depends on whether the property was purchased before or after, the former couple’s wedding date.